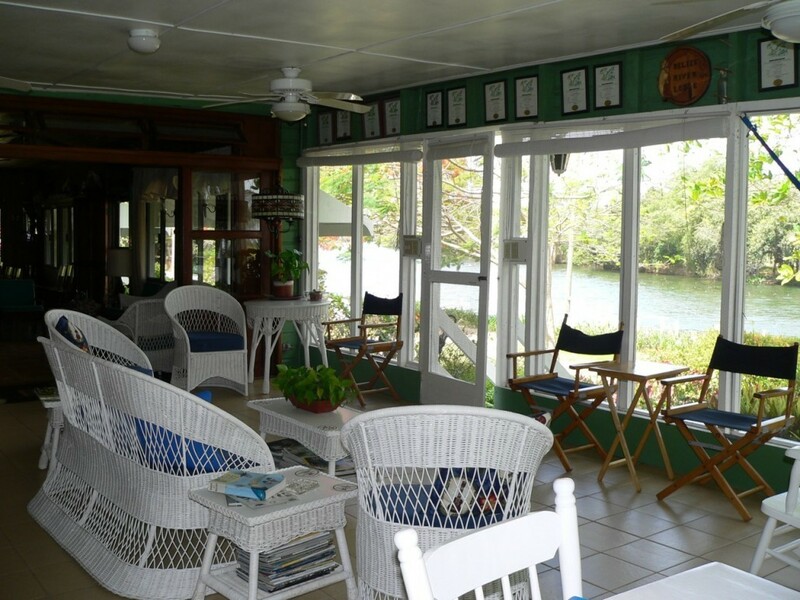 The strategic location on the shore of the Belize River allows Belize River Lodge nearby access to a variety of unique fishing situations. 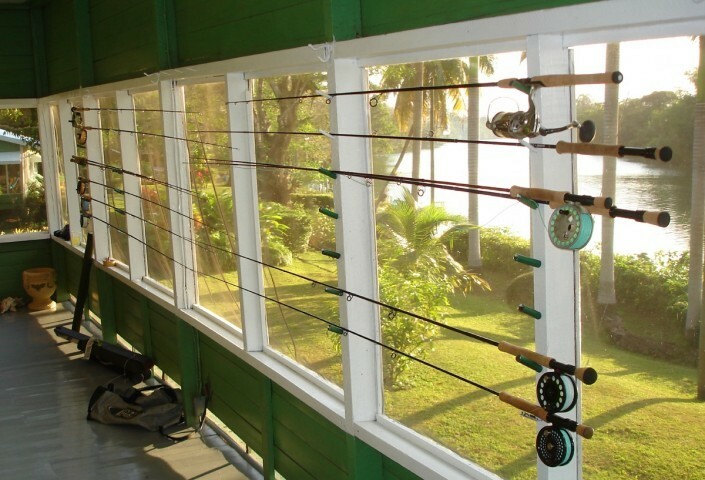 The numerous mangrove cayes and flats, reefs and channels as well as the river itself offer the angler many different options . Tarpon, snook, bonefish, permit, barracuda and all of the reef dwelling species can be caught . 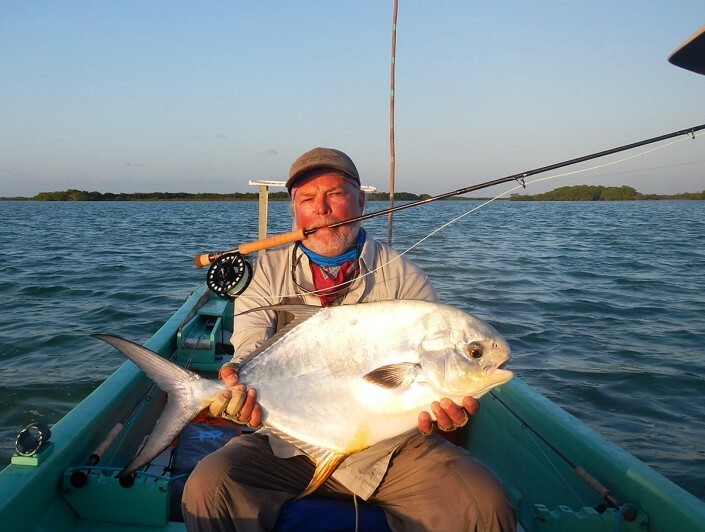 Whether your preference be conventional or fly fishing, the professional English speaking guides cater to both advanced and novice anglers. 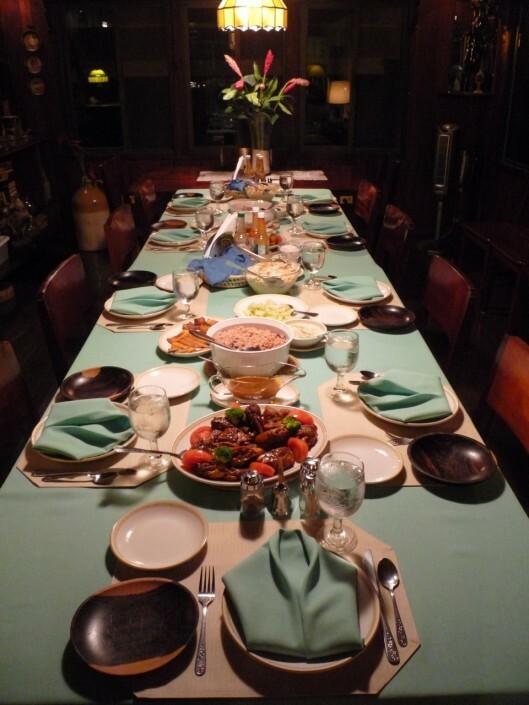 The lodge has a very cozy atmosphere, the rooms are spacious and comfortable and the meals are a delicious variety of Creole-American cuisine. Your gracious hosts, Mike Heusner and Marguerite Miles will make you feel like family. 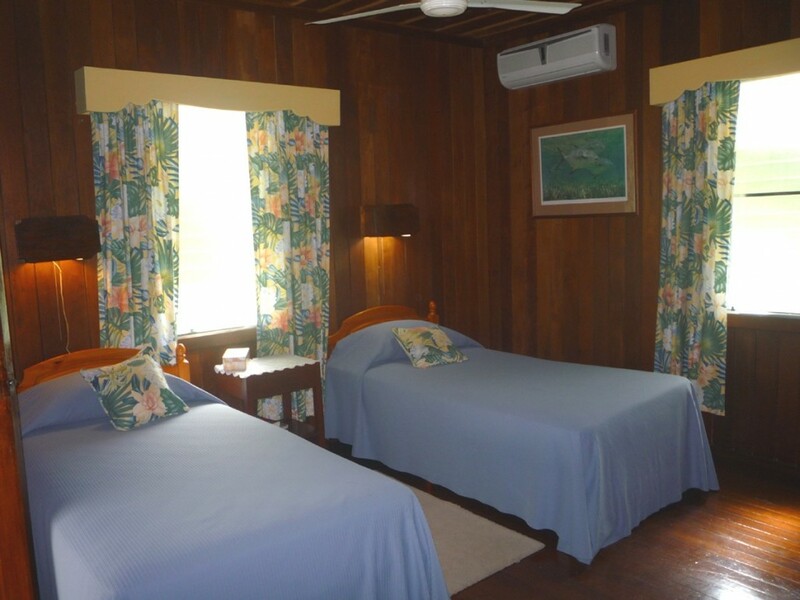 Strategically located, the Lodge is just ten minutes from the Belize International Airport (BZE), approximately 10 miles north of Belize City, and 4 miles from the Caribbean Sea. 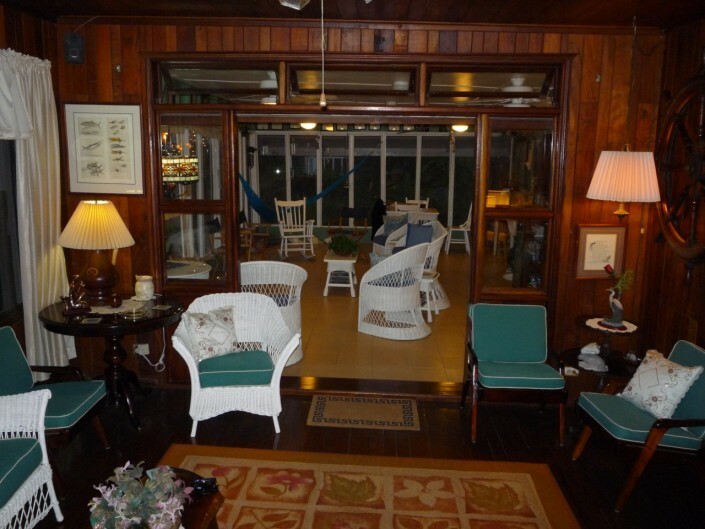 While conveniently located, they are also a short and easy run to the Flats. Sight fishing the flats is their specialty, with variety the main attraction. 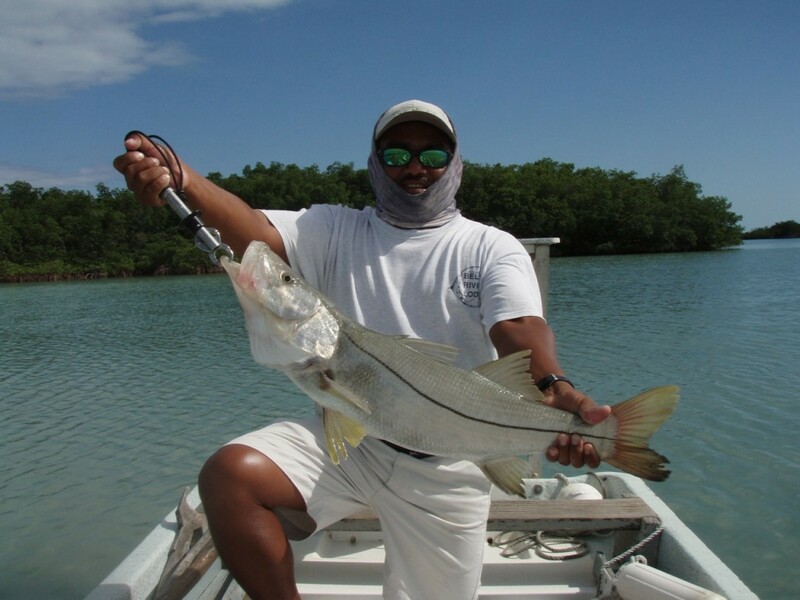 Bonefish, tarpon, permit and snook are the main species caught by fly fishing and/or spin casting anglers. About 75% of the guests are fly fishers, men and women, who are in pursuit of the Grand Slam. 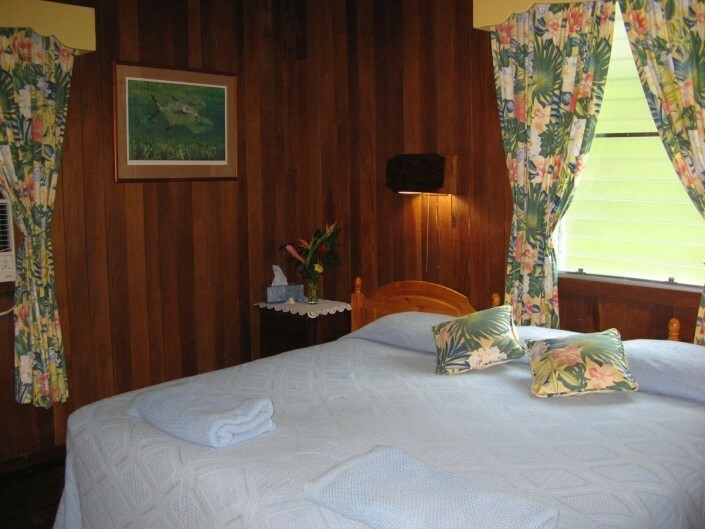 Guests stay in the comfortable, well kept Mahogany Lodge, which is located in a setting of tropical greenery and colorful flowers on the bank of the Belize Olde River. 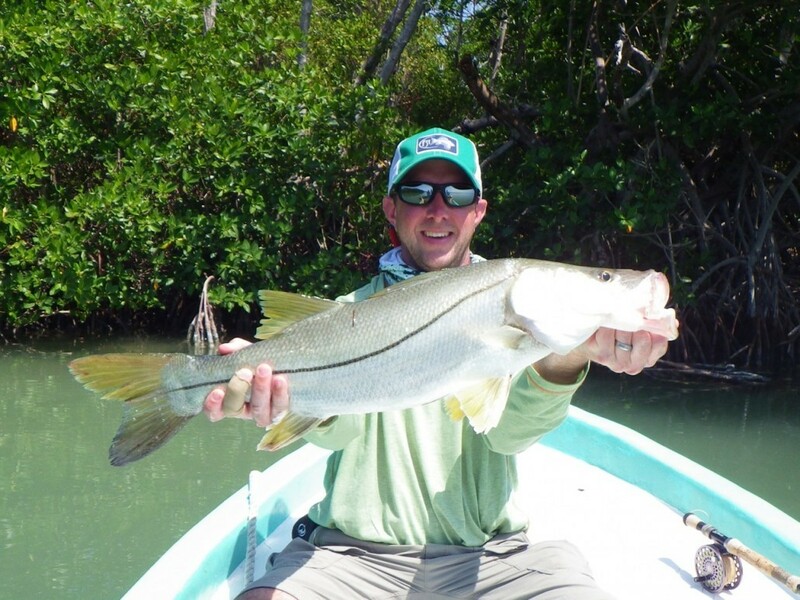 Fishing is from 23′ fiberglass Panga skiffs, usually two anglers to a skiff with an experienced professional guide. 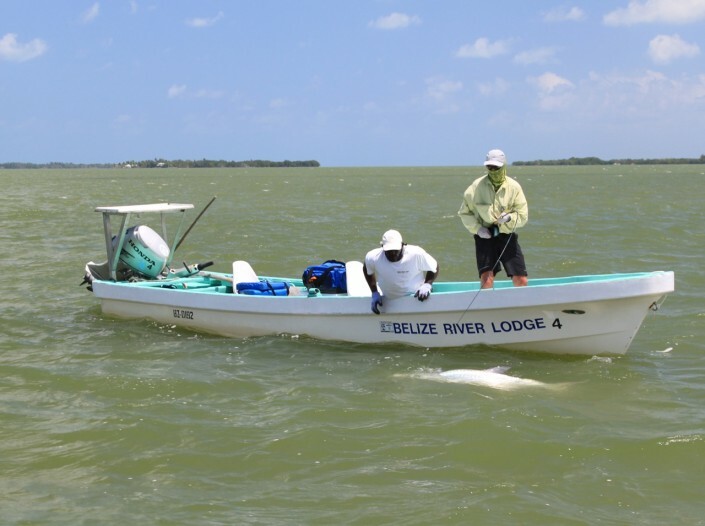 The flats, cayes, reef, mangrove channels, Belize River, Sibun River, Manatee River, Black Creek, and several other creeks & lagoons in between are the areas fished from the Lodge in a normal five day fishing package. 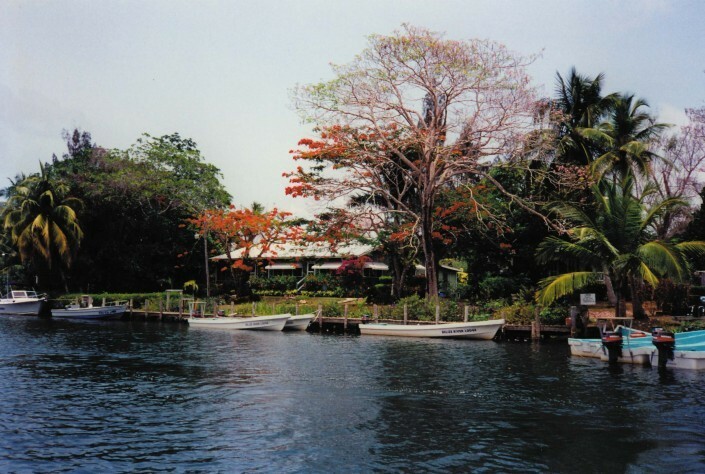 This is a very large area with a great variety of fishing conditions, fish species, and scenery. 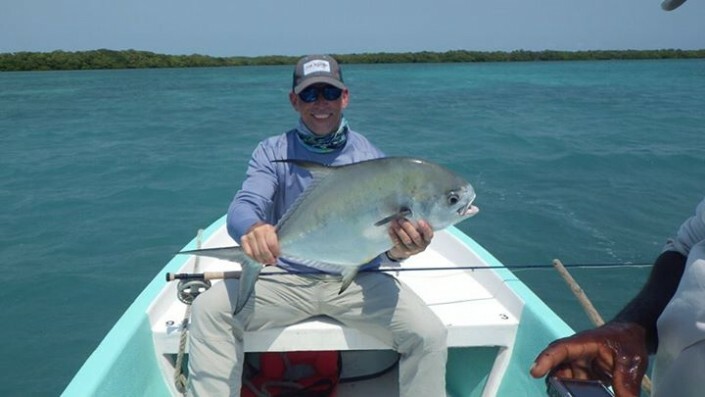 Game fish species generally found in this area include, bonefish, tarpon, permit and snook, cubera snapper, jack crevalle, barracuda, grouper, and others. 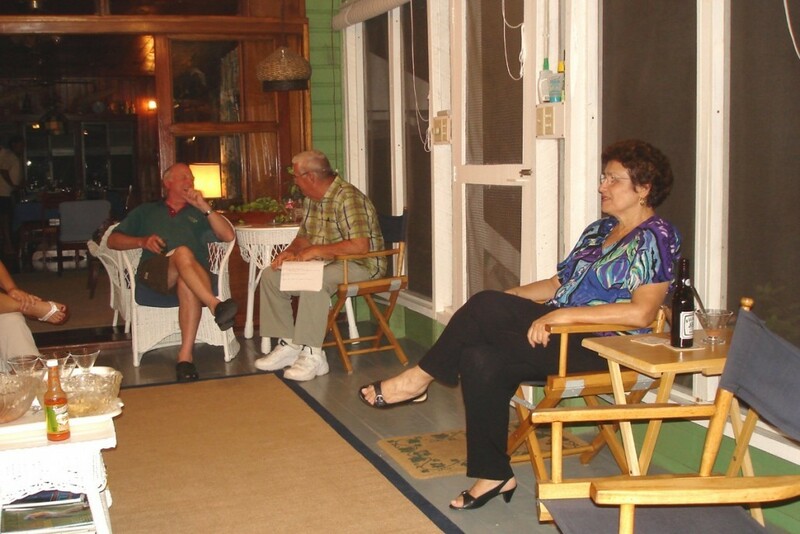 Visual Grand Slams & Back Country Grand Slams occur every day. 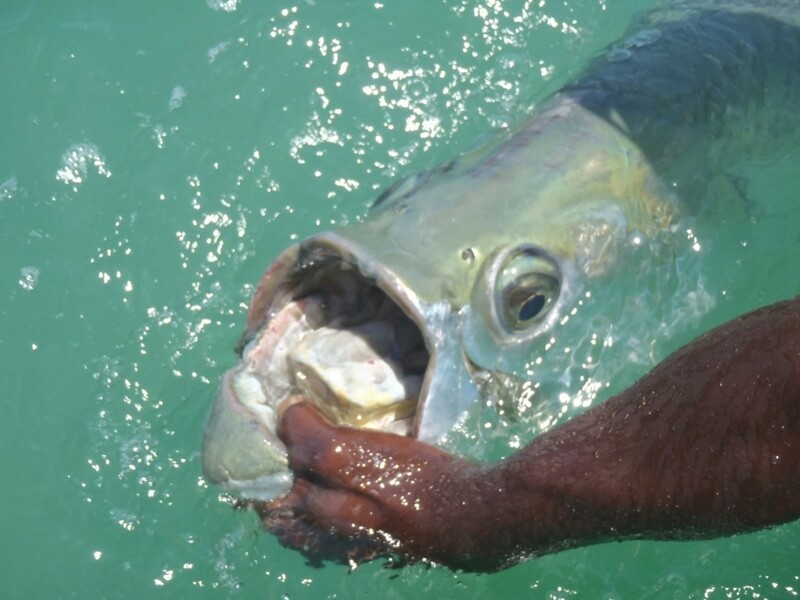 Landed Slams will depend upon your skill, the fish, and a little luck. Many species of birds and other wildlife such as Manatees, Howler Monkeys, Iguanas, Turtles, and occasionally Crocodiles may be seen while fishing from the Lodge. 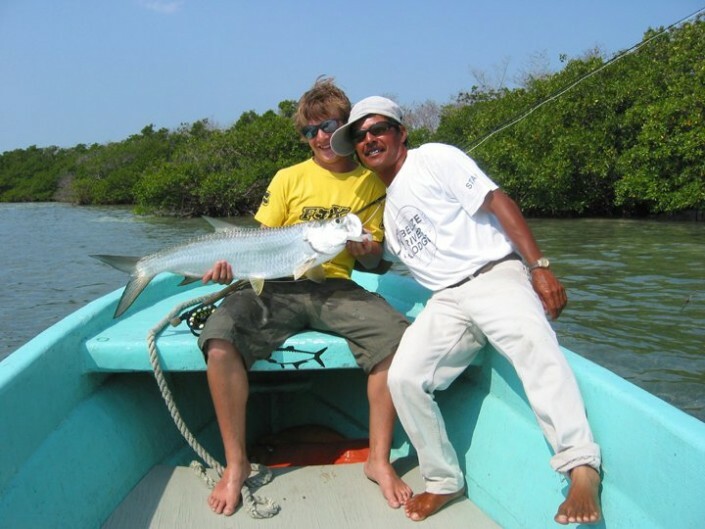 Comfortable skiffs, modern outboard engines, and English speaking, professional licensed guides help make this a memorable fishing vacation. 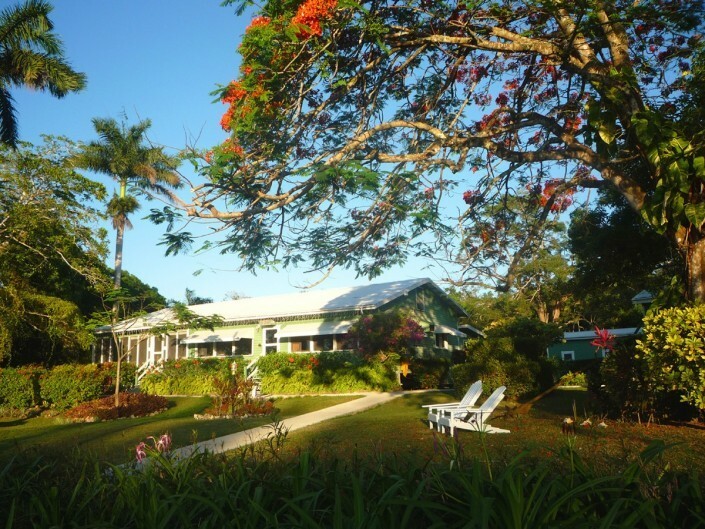 In addition, there are a number of optional tours to points of interest in Belize, like the different ancient Mayan ruins, among other attractions. Anglers fly to Belize City, where they will be met and transferred to Belize River lodge on arrival.